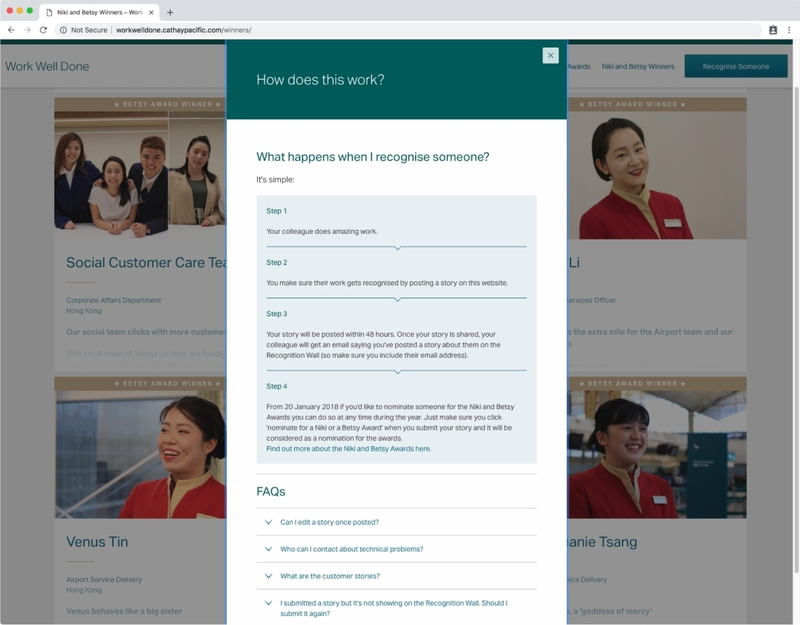 Work Well Done Cathay Pacific partnered with Grayscale to design and develop an internal, web-based recognition tool. 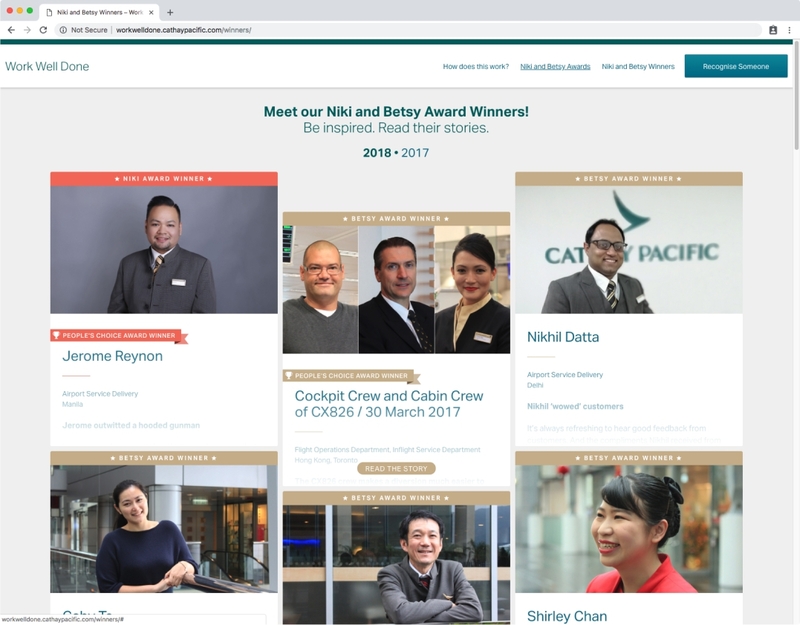 Cathay Pacific’s HR team was looking for a way to re-think and re-imagine employee recognition programmes. Their existing ’employee of the year’ awards had become outdated and ineffective. 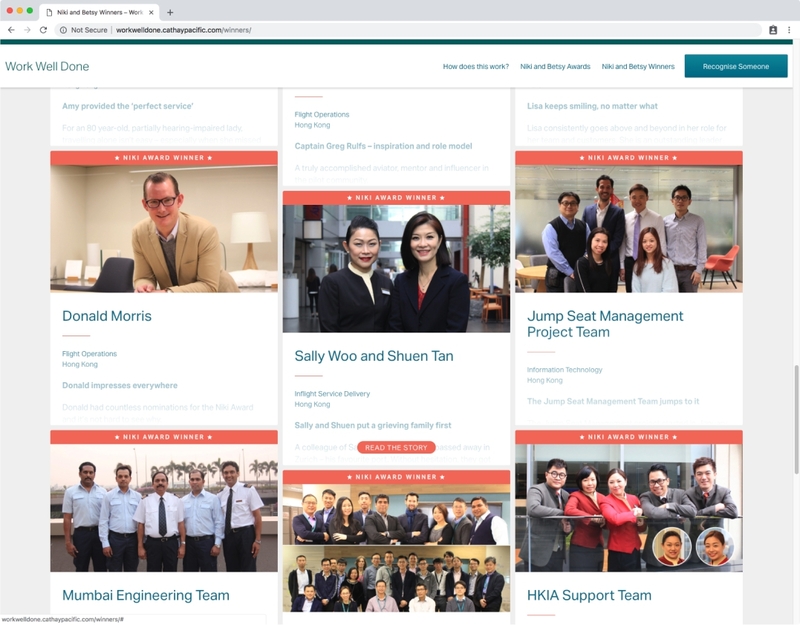 Together with change agency E3:Reloaded, Grayscale developed and worked out the concept of Work Well Done: an online portal which makes it easy for employees to recognise each other for doing great work. 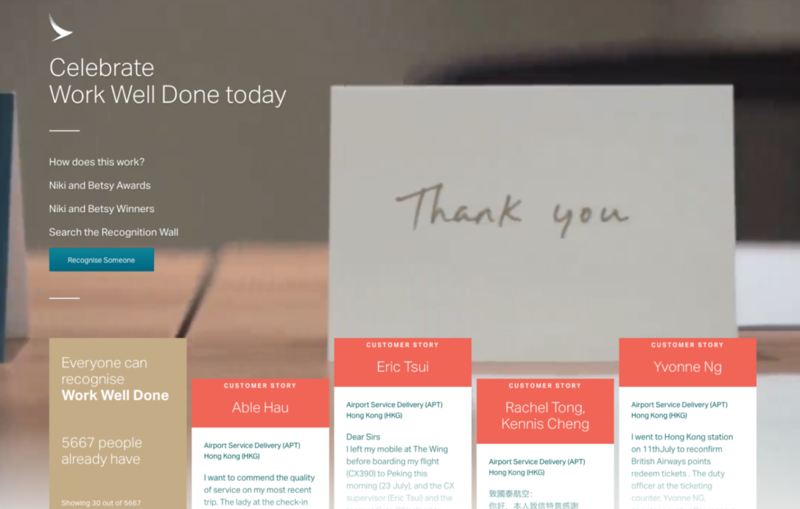 Since the start of the project more than 5,000 compliments have been shared online and 2 award ceremonies have been organised. 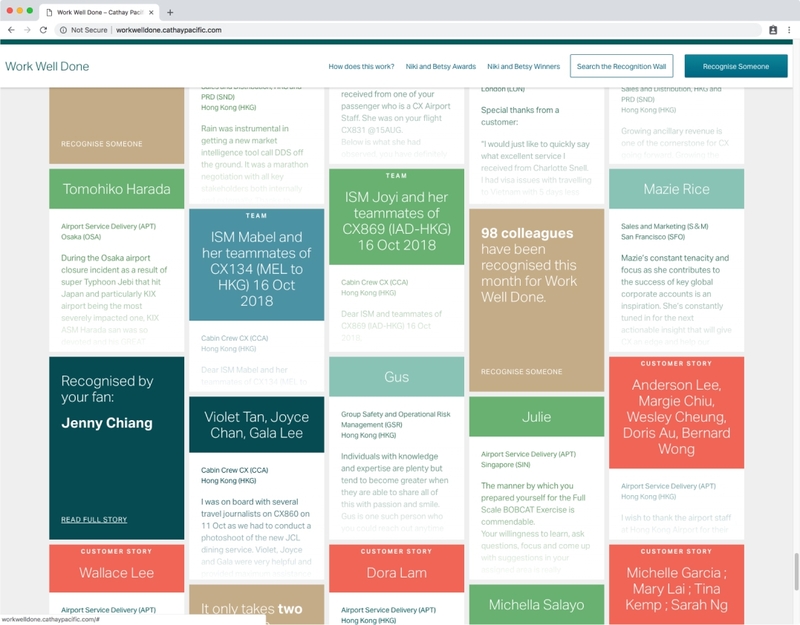 Grayscale designed a portal which makes recognising good work really easy, and employees are actively creating and sharing content. 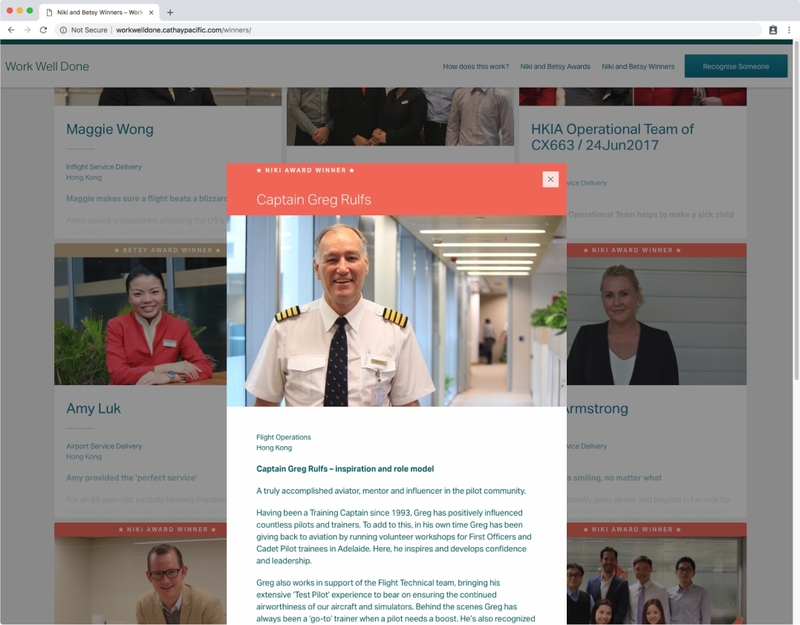 The portal is built on the versatile WordPress CMS which makes management of the tool by the Cathay project team very easy. 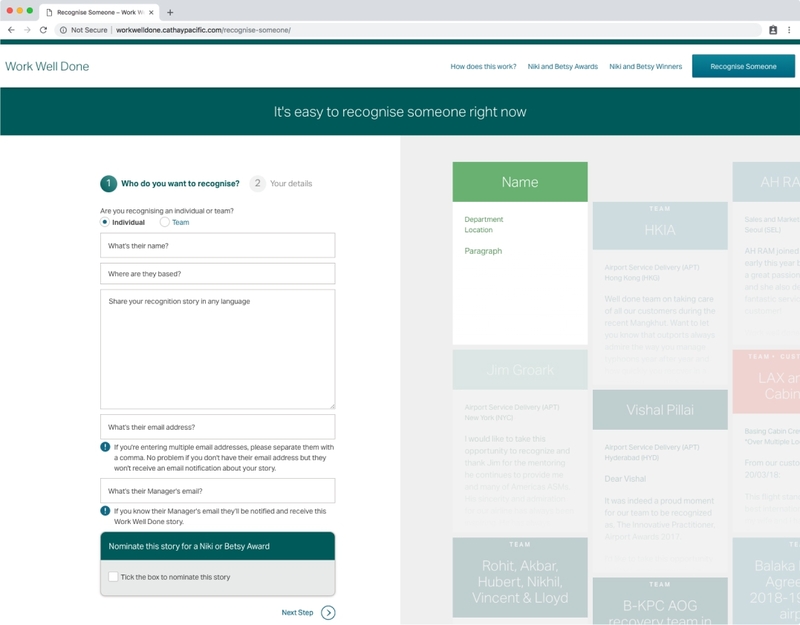 Since the start of the project in 2016 we have added various functionality elements, making the platform more interactive (‘like’, ‘nominate’, ‘cc your manager’ or ‘vote’) whilst keeping the core function (‘nominate’) central in the design. 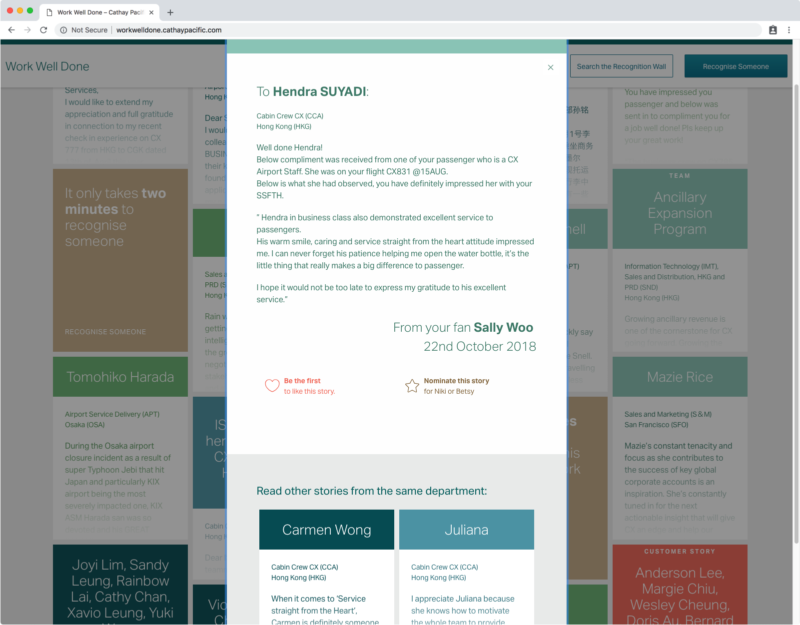 This is simply one of those projects which has everything: a cause working hard for (employee satisfaction), a ‘mature’ client where we can do user research and testing (greatly improving the effectiveness of the design) and a truly great client/project team.